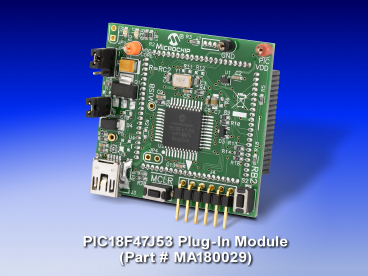 The PIC16F1947 Plug-in Module (PIM) is an accessory to the PIC18 Explorer Board, PICDEM LCD2 Demonstration Board, & XLP 8-bit Development Platform that allows users to evaluate and develop with the PIC16F193x/194x family of microcontrollers. Additionally, this provides a platform for general purpose development and gives you the ability to develop code for any PIC12F1xxx/PIC16F1xxx microcontroller. The PIC16LF1947 Plug-in Module (PIM) is an accessory to the PIC18 Explorer Board, PICDEM LCD2 Demonstration Board, & XLP 8-bit Evaluation Platform that allows users to evaluate and develop with the low power XLP PIC16LF193x/194x family of microcontrollers. Additionally, this provides a platform for general purpose development and gives you the ability to develop code for any PIC12LF1xxx/PIC16LF1xxx microcontroller. This processor PIM includes a 44-pin PIC18F45J10 MCU sample. The PIM plugs into PIC18 Explorer Board (DM183032). This processor PIM includes a 64-pin PIC18F66K80 MCU sample. The PIM plugs into PIC18 Explorer Board (DM183032). 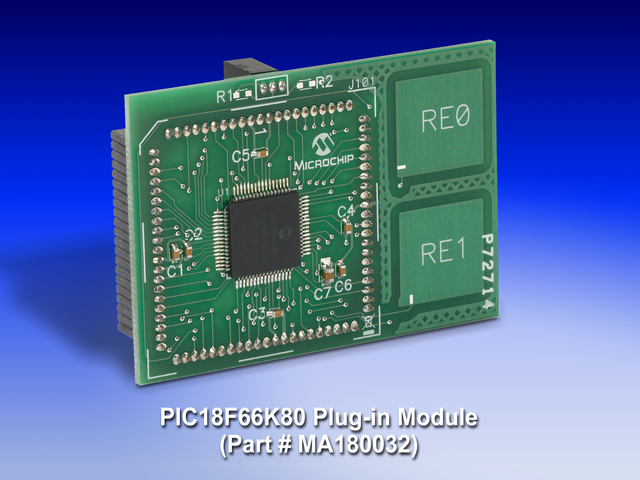 This processor PIM includes a 80-pin PIC18F85J11 MCU sample. The PIM plugs into PIC18 Explorer Board (DM183032). 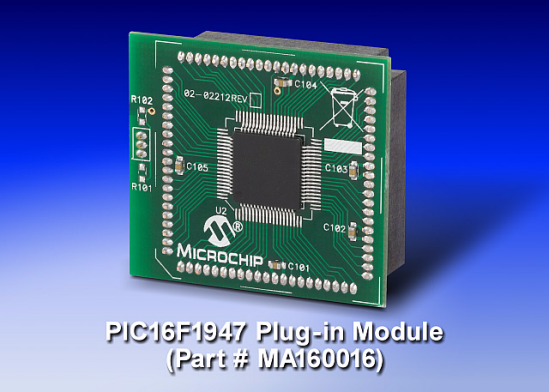 This processor PIM includes a 80-pin PIC18F87J10 MCU sample. The PIM plugs into PIC18 Explorer Board (DM183032). 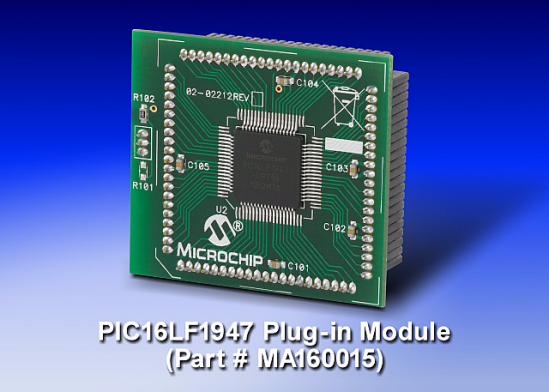 This processor PIM includes a 80-pin PIC18F87J11 MCU sample. The PIM plugs into PIC18 Explorer Board (DM183032). This processor PIM includes a 80-pin PIC18F87K22 MCU sample. The PIM plugs into PIC18 Explorer Board (DM183032). This blank processor PIM can be used to populate with your own 80-pin PIC18FxxJxx MCU sample. The PIM plugs into PIC18 Explorer Board (DM183032). This processor PIM includes a 28-pin PIC18LF25J10 MCU sample. LF parts have voltage regulator disabled. The PIM plugs into PIC18 Explorer Board (DM183032).